Professor Shiller emphasizes the worldwide importance of corporations by looking at World Bank data for corporate stocks as traded on global stock markets. He then turns his attention to the concept of a corporation, elaborating on the role of shareholders, the board of directors, and the Chief Operating Officer. Following this, he compares and contrasts for-profit and nonprofit corporations. Next, he discusses equity financing of for-profit corporations, covering market capitalization, dividends, share repurchases, dilution, and the difference between common and preferred shares. In addition, he discusses and rejects claims that share issuance is not really important for capital raising in modern times. Professor Shiller concludes this lecture with a discussion of the balance sheets of two well-known corporations, Xerox and Microsoft. 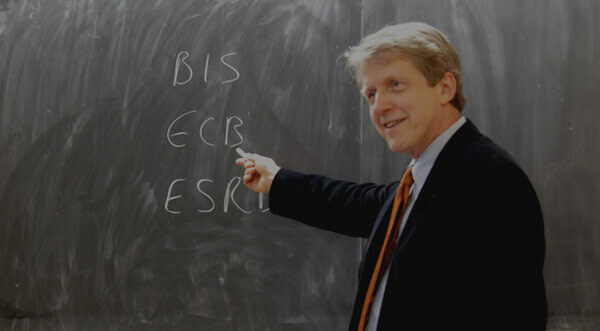 Professor Robert Shiller: We’re talking about corporate stocks this time. We’ve talked already about them a little bit. We talked about how people would set up a corporation and then divide it up into shares. And then, the company grows, more shares are issued, and some people sell their shares. It’s a way of creating an organization that works. We talked about the first real corporation with traded shares, that was the Dutch East India Company in 1602. It was an idea that took hold and became a scheme for organization of business and has become extremely important around the world. I actually had my own personal experience. I’ve created two corporations in my life. The first time, it was one of my students here at Yale, Allan Weiss. Actually, he was not an undergraduate. He was getting an MBA from the School of Management. But he came to me after he graduated and said, I see that you create home price indexes. I’d like to start a company and sell them, OK? And so, he wanted me to advise the company. And then we decided to make it a corporation. We brought in my colleague, Chip Case, who’s at Wellesley College, and it’s called Case Shiller Weiss Incorporated. We brought in a fourth, a real businessman, but he said it would be ridiculous to have four names on the company, so he generously allowed his name. It’s Chuck Longfield. But then we set up the company, and I remember saying, I’m not going to be that involved. I’ll be somewhat involved, but I’m going to keep teaching at Yale and I can’t do more than a day a week at most or less than that. So, we had to decide how many shares we got, all right? The only guy who gave it money was the businessman. That’s how you do it. He put money into the company. The rest of us just agreed to put in time. So, the question is, how do we divide up the company? Who gets how many shares? The businessman put in money. I’m putting in time. How do we do that? And I know I’m not going to put in as much time as Allan Weiss, who is actually running the company. But you know what we did? We just divided it four ways and we set it up. And it’s not a big company, but I’m saying it, because it’s my own personal experience having done this. That was 1991. We sold it in 2002 to Fiserv, Inc. And at that time we had 12 employees. It never got that big. But then later on, S&P bought the index. The home price index is called the S&P/ Case-Shiller Indices, which are now quoted a lot. I thought it was a success. It didn’t get really big, but it was a success. One thing that I learned from this experience is, have appreciation for lawyers, OK? Because I had never funded a company before and I didn’t know what kind of things would happen. Incidentally, in dividing up the company, I think it was just fairness. We thought, we’ll all make our own contribution in our own way. We can’t decide who’s more important. But you know, honestly, I didn’t really care about the money. For me, it was just a new experience. It was like, we could all be in this together. We’re all trying to make money and making something big. It was just a kind of a story for me, that made it a little bit of an adventure. I was in it for the fun of it, because I really don’t feel like I need any money. I have a job. I don’t aspire to a mansion or anything like that. But we just did it. It was fun. The reason why I appreciated lawyers is that they seemed to anticipate all of our conflict and they wrote things. We had a corporate charter, a long document, but it actually made sense, because we did get into some conflicts. This is what happens in a company. Somebody isn’t working as hard as somebody else, and then some resentment develops. So, what do you do? The salve is more shares. If one guy’s doing more than another, it gets brought up at the board meeting, and someone says, well let’s give this guy more shares–it’s called a bonus, right? So, we discovered the wisdom of this system. And I think a lot of people around the world have discovered it, and that’s why corporations are such an important component of our economy. So, that’s just my own personal story, but I wanted to talk about big and important corporations, not mine. But first, I wanted to give you some sense of perspective on how important corporations are. Corporate stock as traded on stock markets. So, I have data here from the World Bank. And that’s the website. You can get all the countries of the world from it if you want. And the latest data they have is 2008. And for various countries or various regions of the world they have the value of the stock market, of the listed stocks in those countries in trillions of U.S. dollars. That’s this column, the trillions of dollars. They also have the fraction of GDP represented by the stock markets in that country. So, you can see that the biggest stock market in the world is the United States. So, it’s $11.7 trillion in 2008 according to the World Bank. Second biggest is the euro-area, $5 trillion. And U.K. is very big, because the United Kingdom was very early to become a financial center. And it’s an enormous financial center now. The interesting thing though is as a fraction of GDP. People are confused when we talk about fraction of GDP, because it’s one year’s GDP we’re talking about. We’re comparing a stock with the flow. A stock of wealth in the stock market, dividing that by one year’s GDP. So, it shows here that the United States’ stock market in 2008 was worth almost a year’s GDP and it was higher than any other, at least, major country. Again, this is a symbol of capitalism. If you want to invest in stocks anywhere you live in the world, you’re going to probably come to the United States, because it’s much higher. I mean, you could do Asia. Asia and the Pacific, $3 trillion, but the U.S. is almost four times as large. That’s because of the long history. This is a capitalist country. And as I was saying, the New York corporate law of 1811 kind of got this ball rolling, and so it has led the world on that. But I think if we look at this chart again in 10 or 20 years, it’s going to look different, because stock markets are growing around the world, as a form of organization for enterprise. So, these numbers on the rest of the world are all going up, and we’ll see more and more value elsewhere. And the reason is, because it works. The system coordinates the activity. It allows people to work together. And it allows them to avoid conflicts and motivate people to work and get things done. And it creates wealth, and people like that. And so, it seems like something that was learned. We had a big grand experiment with socialism obviously in many places of the world, and the socialists kind of gave up on it. They decided, this works better. That’s why we have in China now market socialism. It’s still socialism in a sense. It’s transformed and it’s different, but it does have a stock market and it’s growing rapidly there. But I don’t want to exaggerate the importance of these, either, because the total value here for the United States is only 82% of one year’s GDP. Another way of putting it is: let’s round that to $12 trillion, and there were about 300 million Americans in 2008. That’s $40,000 per capita as the total value of the stock market. Now does that sound like a lot of money to you? Well, think of it this way. For a family of four, that’s $160,000. That won’t buy you a house, so it’s not that big. It’s big, but it’s not that big. What you have to remember is that corporate stocks are claims on the profits of corporations, but most of what corporations do is, take money in and pay it out. They pay it out to their employees and to other people, bondholders and taxes, lots of other places that money goes to. So, the actual value of the stock market, I think most people exaggerate it in their mind. It’s not that big. It’s big, but not that big. It’s smaller in other countries. You might wonder, why is it that in Europe it’s only 38% of GDP? That sounds funny, right? In Europe, they’re moving I think in the direction of more modern corporations with big exchange traded corporations, but they often do things on a smaller scale still. So, for example in Germany; you notice that often companies in Germany, after the end of their name they have AG. That stands for Aktiengesellschaft, and that means stock market company. But others have GmbH. Do I have that capitalized right? Gesellschaft mit beschraenkter Haftung. That means a family company. It’s a company that’s not traded on the stock exchange. What we’re looking at here are traded stocks. Actually, my company that I was just telling you about was never traded. That’s called private equity. If it’s on the stock exchange, it’s public equity. And if it’s not traded, it’s private. So, this is private, and this is public. And there are similar distinctions in other countries, but this is Germany. I just wanted to be clear about one thing. The word equity; It has many different meanings, but the meaning that we have here is shares in a corporation. I was curious about how far back that term goes. That word equity, referring to shares, was not coined until, I think, it was 1904 according to the Oxford English Dictionary. And it was American. That’s an American term that’s now spread over the world. But we use equity. I was trying to think, why do we call it equity? I think equity means equality and fairness, and so, what it means is, each share is equal. I think that’s what it means. We’re treating people with equality. So, that’s what we–we have an equitable division of profits among owners of a corporation. By the way, I was making a comparison. I said the value of shares in the United States is $40,000 per capita, and it must be much less in Europe, like $20,000 or less of traded stocks. I just want to compare that with houses. I said $160,000 would be the share of a family of four in that value of the U.S. stock market. Actually, it is quite clear that the value of houses in the United States is greater than the value of the stock market. According to the Federal Reserve, the total value of houses in the United States in 2010 was $18 trillion. That’s quite a bit higher than the value of the stock market. Incidentally, the Federal Reserve estimates the total assets of households in the United States, and in 2010 that was $69 trillion. So, people own a lot of other things besides stocks. So, I’m kind of minimizing the importance of the topic of my lecture, because stocks aren’t that valuable. We couldn’t solve the poverty problem by redistributing the stocks among all the people. Suppose we did that, all right? Supposed we said, let’s grab all of the stocks away from the wealthy people and let’s just share them equally among the whole people. So, some poor family would get $160,000 one time only, right? Remember, one time only. It’s a stock, it’s not a per year amount. So, would that lift them out of poverty? Not if you have to live the rest of your life on $160,000. You’d still be in poverty. So, the solution to poverty is not redistributing stocks. I think the solution to poverty is instead making these markets work better, so that we produce more. OK. So, I’m going to talk about stocks and the different kinds of stocks and the laws of the stock market here today. And then, I’m going to come at the end with a couple of examples of companies. I have an example of Xerox and Microsoft, both high-flying companies in their days. Another term that I just want to use, corporation. Corporation comes from the Latin corpus, meaning body. The idea of a corporation is like a legal person. The lawyers say natural person. Each one of you is a natural person, but there are artificial persons as well, and the corporation is called an artificial person, even though it really only is owned by people. It’s like a slave belonging to the shareholders. So, that’s the origin of the term. Actually, corporations go back to ancient Rome where they were called publicani, and they had a stock market in the Roman forum, but they were never allowed to proliferate. The laws encouraging them did not create a swell of new companies. They were very few of them. It wasn’t until the 19th century that corporations really became important. Now, a corporation is owned by the shareholders, and in most corporations all the shareholders are equal. That’s why we call it equity. And they all have one vote. It’s one share, one vote. Not always. There have been exceptions. There are non-voting shares, but usually they all vote. And the idea is that the shareholders vote to elect a board of directors. This is what they call shareholder democracy. It’s inspired by political democracy. They were going to set up a company that’s democratic, but it’s not democratic in that every person has a right to vote. It’s each share has a right to vote. And so, that’s the essential idea. When you form a company in the United States, you have to choose a state to incorporate in. And then, each state has its own corporate laws. So, my company, we did it in Massachusetts. A lot of people like to do it in Delaware, because they like those laws of Delaware and the taxes of that state. So, you choose, and then the state will dictate some basic rules, typically that you have to have an annual shareholders meeting where you vote. That’s the idea. And you know, we did that. I remember. We followed the law. Someone had a plan, and it worked. And so, what do you do at the shareholders meeting? Well, according to the bylaws of the company, certain things have to be decided there, but not many. The basic thing you do is you hire a chief executive officer. You agree to hire that person. And then this chief executive officer reports to the board as an employee of the company. And in the U.S., the chief executive officer has by tradition often been named as chairman of the board, but in Europe, that’s less likely. There are some different traditions in the rest of the world. A lot of people say it’s not good to have the CEO as chairman of the board. The board of directors are not generally working at the company. The board of directors are people who were brought together to give wisdom to the company. And this is what happens. You’re setting up a company and you don’t know where to go and what to do. You need someone to run the company. That’s the CEO. And the CEO is probably a gung ho guy who is going to work 80 hours a week and he’s ready to go. But he needs guidance, he or she needs guidance. So, you get people with different perspectives, someone who ran a business years ago and is retired or any number of different kinds of people. And the board will meet more regularly than the shareholders. Shareholders don’t want to get involved typically, because they typically own many companies. They don’t have time to worry about it. If you keep a board small enough, so there’s not too many people, like 6 to 10 people, and they know everything about the company, they’re privy to all the information. And they talk to each other at regular meetings and they call each other up on weekends. It’s part of the concept of a director that you just take responsibility for this company. You don’t run it, but you’re responsible for it. The law says in the United States that if you join the board of directors, you have a duty of loyalty to the shareholders, OK? That you were elected by the shareholders to be on the board, and you have a duty. You may not own any shares in the company. Typically, you don’t. And a member of the board is paid some token amount of money. You wonder why people do it. They often do it just to kind of stay involved and keep themselves learning. They can make substantial money, but they’re not the owners of the company. They don’t get rich by it. They’re the wise people that were brought in. You know, you joined the board. You’re taking on a responsibility. You’re not taking on a massive responsibility. You only meet a minimum, maybe, of four times a year. You’ll be on phone calls. But you have some responsibility for the company. And some people like that. They kind of sense that, well, I’m a productive part of society. I have this company. I’ll learn all about and think about it in a broader perspective. So, that seems to work. This sort of organization seems to work really well. You know what will happen? The board will be talking informally among themselves and they’ll say, is this CEO really doing a good job? And they think about it. I want to just ask around with our customers. What do they think? And so, someone might say, we could just get a new CEO. Let’s do it. And then the guy’s out immediately, if they vote at the board meeting. This is a structure that keeps companies really good. In one of the previous semesters, I had Carl Icahn come, who is a notorious board breaker. Well, he comes in–he told our class here that he likes to buy enough shares in a company to get himself on the board, and he loves to go and show up at board meetings. He buys companies, where there’s relatively ineffective boards and the board is not really paying attention. They’re kind of lazy. And he comes in and makes shocking statements, like fire the CEO right now. This guy’s a loser. And the board gets all upset, because they kind of like the guy. It’s cozy. But Icahn says, you know I can do it. I go in there and I lay it all out. And it may take a few meetings. I can bring them around and get the company straightened out. So, this is shareholder democracy, how it works well. Not everyone agrees with Carl Icahn’s interpretation. He’s a controversial guy. Now, another thing I want to say, there are basically two kinds of corporations. There’s for-profit and nonprofit. I’ve been talking about for-profit. And all these people [correction: companies] I had on the screen as listed shares are for-profit. That means they have shareholders. There’s another kind of a corporation, which is called nonprofit. And we’re standing in one right now. It’s called Yale University. It’s a nonprofit corporation. And it has a board of directors. They call it the Corporation. They meet regularly. It’s like other corporations, but there are no shareholders. So, how can that be? Who owns Yale? Well, it’s a person. Yale University, like other universities, is a legal person, and its rights are defined by law. And the profits go back to Yale and accumulate there and are spent for a cause, namely education and research. So, the board of directors of Yale has a different purpose. They don’t have any duty of loyalty to shareholders, because there are no shareholders. I mean we could call you shareholders, I guess, if you are students here, but that’s not what you’re called, and you don’t have any right to the profits. The profits are spent for good causes. So, you kind of wonder, well, those two sound very different, don’t they? Because a for-profit is trying to make money, and the nonprofit is doing something for a cause. That seems totally different. But they’re not always totally different, because a lot of what happens in corporations is determined by the kind of sociology or the organizational structure. Some people serve on multiple boards. They’ll be on Yale University and they’ll be on some other company, for-profit, but the same person probably behaves similarly in both places. So, oddly enough, for-profit and nonprofit don’t often mean that much. We’re going to come back to nonprofits later in this semester, but I’m really talking about for-profit. Now, that sounds kind of selfish in a sense. A lot of us like nonprofits better. They have a different cachet in our society. I was talking to Peter Tufano, who’s a professor at Harvard Business School, who set up a nonprofit company called ”Doorways to Dreams.” That’s the name of his company. There’s a website. Search on Doorways to Dreams. And it’s all about finance for the poor, the less represented people. And he said setting up a nonprofit was the greatest thing he ever did, because it opens doors for him. He walks in and says, I’m running a nonprofit to benefit poor people in the United States, getting their financial things in order. He said, everyone respects me. If I say I’m trying to make a profit, they were skeptical. We have one professor in our econ department, Dean Karlan, who set up a big nonprofit at Yale. That’s kind of rare. His is called ”Innovations for Poverty Action.” And just last night, I had a door-to-door surprise. I had a young Yale freshman come by asking me to donate here in New Haven. I guess Yale gets donations. It’s all ambiguous, but private companies don’t get donations generally. All right, the value of a share in the company is equal to the total value of the company divided by the number of shares. So, the market cap of a company is equal to the value per share times the number of shares. Market cap is short for market capitalization, and that is the value of the company. The key thing you have to know about a company is, how many shares are there and how many shares do I have? Maybe I’m repeating myself, but if there’s a million shares outstanding and I own 1,000 shares, I own 1/1000 of everything the company owns after their debt. But if there’s 10 million shares and I own 1,000 shares, then I own only 1/10,000. So, you have to know the number of shares. The number of shares that you own is meaningless, unless you know the total number of shares in the company. And all the different shares are treated equally. If they pay out any money to one shareholder, they’ve got to pay it out to all the other shareholders in proportion to the number of shares. Now, companies issue dividends. A dividend is paid to shareholders when the board of directors decides to do it. And the board of directors doesn’t have to do it. I’m talking now exclusively about for-profit, all right? So, at a board meeting, they can say, hey, let’s pay a dividend. I remember this, because we had exactly this meeting at our little company. We gave shares to all of our employees to motivate them. Everyone’s a shareholder. But they had tiny numbers. Some of them had very little shares. And we had a board meeting and we said, you know we’ve never paid a dividend. Should we do it? Should we pay a dividend? And then we had a discussion, and someone said, well, you know all these employees wonder if their shares are worth anything. Maybe, if they got a check in the mail, they’d feel better. But you see, the dividend is subject to the discretion of the company. This is a very common misunderstanding. A lot of people think that you buy stocks because the price will go up. Well, the price will go up only because people think there are more dividends coming. At least in theory, that’s the way it should be. The price ought to be–and we’ll question this later–the present value of expected future dividends. So, the true value of a company is entirely in the dividends. It seems a little funny, because you think, well, the board of directors doesn’t have to pay a dividend and they could just get nasty and never pay it out. But remember, you elect the board of directors. And so, if you’re frustrated that our company is accumulating lots of money and it’s not paying it out. I want the money, right? So, I’m not going to vote for this board. I’ll put Carl Icahn on or someone else. Pay it out. And then that’s what happens, they start paying it out. When they pay out a dividend, the share price falls generally, right? Very simple. Why would the share price fall when they pay out a dividend? Well, because the company is worth less. They had this money and they paid it out, so it should fall by the amount they paid out divided by the number of shares, right? And companies do that routinely. When they declare a dividend, price falls. It’s called the ex-dividend price, and they show it in newspapers. They used to show it in newspapers. Now, it would be on the website. They put a little x by the stock price on the day after a dividend is paid to tell you that the price decline that you just saw is not anything to worry about. It doesn’t mean there’s bad news about the company. It just means they just paid a dividend. So, the price routinely goes down by the amount of the dividend. It doesn’t mean anything. Some stockbrokers have tried to alarm investors about dividend payment dates and mislead them. Some stockbrokers would say, why don’t you buy the stock right now, because if you buy it right now, you’ll get a dividend. They’re going to pay a dividend in three days. Hurry up and buy it and you’ll get the dividend. That’s called selling dividends and it’s considered unethical for a broker ever to tell you that, because it really doesn’t matter. Because if you buy it later, you won’t get the dividend, but you’ll get the share cheaper. And it all comes out to about the same. You don’t have to worry about dividend payment dates, because the stock price jumps down right after a dividend. Except maybe from second-order effects, it doesn’t matter whether you buy before or after a dividend. All right, so, you see the idea here. The idea of a corporation is we have these shares, and the shares are always salable. So, let’s say four of us young people form a company. And then after a couple of years, one of us says, I’ve got another job. I’m tired of this. I want out. And you say, fine. We’ll buy your shares back, OK? And we agree on a price. So, it’s very fair and easy. People can get in and out as they please. And the only people involved are people who want to be involved. And then you’ll find some new person. The four of us set up a company. There’s some new guy who just heard of us. And he thinks, this a great idea. I want in. So, then you say, all right. We’ll sell you shares in the company. But maybe the price has changed. When we started, we might have been worth a lot less. The guy has to come in at a new price, and the price is changing every day. It makes very good sense. So moreover, if the company needs to raise money to go do business. So, we’ve started a company and we need to build a new factory, let’s say, to expand our operations. Well, we can go out and issue more shares to buy the factory. So, we go to a stockbroker, who is like a real estate broker, who deals in markets for shares. I’m talking about a small company, so I’m thinking of a private company for which there’s no stock market price. But the stockbroker can go out and say, I’ll find a buyer. I have various contacts. I know people who deal with wealthy individuals looking around for an investment. Maybe this person will buy some shares, and then you’ll get the money. That’s an alternative. That’s called equity financing. That’s an alternative to financing by debt. Your company could also go to a bank and ask for a loan, called a corporate loan. Or your company could borrow money on the bond market, by issuing bonds. You can go to a broker and say, we want to sell corporate bonds. But the difference of those is that it’s at a fixed interest rate and it’s not a share in the profits. So, equity financing tends to attract lively investors who take risks. If a company gets debt, then the debt leverages up the risk of the company, because you as a shareholder now are paid only after the debtors are paid. You own the value of the company, which is the assets minus the liabilities, as a shareholder. But you’ve got to subtract off the liabilities. So, companies have a choice of how to finance their operations. Typically they start out with equity. I guess they could start out with debt as well, but in our case of our little company, it was all equity at first, and then we got bank loans and so we started to get leveraged. And that’s what happens. Big companies do the same thing. I’d like to talk about the simple company that you might set up with your friends, because it seems so personal and you can imagine doing that, right? You can imagine the kind of conflicts that you would have. But these little companies have a way of growing really, really big. So, I’m going to talk about a little company set up by Bill Gates and Paul Allen in 1975. Bill Gates was an undergraduate at Harvard and he saw an opportunity and he dropped out. He was right. He never got his Harvard degree. I suggest that if you see such an opportunity, you do the same thing. I hate to say it. If you can see an opportunity like that. It started out with just Bill and Paul and their little company. But they have a way to grow into bigger and bigger things. The question is, are they really different later? So, one important question is about whether big companies really use equity financing. Are they still functioning the way I’m describing? See, I set the idea of a company up as a structure that lawyers invented that allows people to work together and allows them to get in and out of the company. Does it really still work that way for really big companies? There’s been a complaint about the stock market, that the companies generally don’t issue any more shares once they’re big. This is a complaint. I’m not saying it’s right. And that the stock market ends up as a market for existing shares. The idea is, are the stock markets of the world functioning to make capitalism work better? Well, I could say, they should be, because the price of a share in a company is an indicator of the value of the company and it directs resources. I mean, people look at that price and they decide where to invest. But if they’re not issuing any more shares, does it matter? I had a quote from Karl Marx here. You’ve heard of Karl Marx, the founder of communism. In his book, Capital, Das Kapital, his classic work, said:–I’m quoting Marx–“Since property here exists in the form of stock, its movement and transfer become purely a result of gambling on the stock exchange, where the little fish are swallowed by the sharks and the lambs by the stock exchange wolves.” OK. That was Marx’s view, but even in communist countries, that view doesn’t seem to be holding sway anymore. The thing that lent some credibility to these theories is that it often seems that big companies don’t issue many shares anymore. I’m going to qualify that. But there was a very influential article written by Stewart Myers, who’s a professor of finance at MIT. And that was in the Journal of Finance in 1984. And he gave some statistics. This was an influential article, making it sound like shares don’t really matter for big companies. He said, how do companies really finance their needs? And he came up with data. This is Myers’s data from 1973 to 1982. And he found that 62% of corporate financing needs came from, in the United States, retained earnings. What he’s saying is, companies, they didn’t sell new shares, they just accumulated profits. And then, when they had to build a new factory, they went to their own piggyback and they bought the new factory or whatever it was they needed. And only 6% was equity issued. This is for the whole U.S. stock market. And the rest was debt that they would borrow money for. So, Stewart Myers said, you know all this idea that stock markets function to allocate resources and the share market means something is really misleading. So, what he proposed is what he called the Pecking Order Theory. What he meant is, companies really don’t want to issue new shares. They just don’t want to do it. We own this company. We’re not letting more people in. So, what they first do is they just try to save their own money. This is Myers’ explanation. Companies save money and when they have money, they spend it on expanding. That’s the highest on the pecking order. They like that the best. But if they really need money and they can’t save enough to expand, they have a lot of expansion opportunity. They’ll go to a bank and borrow. They’ll go to an investment bank and issue bonds. And then, only if it’s really, really important and they can’t get enough money, they will go to selling their shares. So, I don’t know if Stewart Myers said Karl Marx was right, but he seemed to be saying that equity issuance just wasn’t that important. However, I think that is misleading. I’m going to refer now to another article that came in much later criticizing Myers. And the article is by Eugene Fama and Kenneth French, that’s at Chicago and Dartmouth respectively. They wrote an article in 2005. This is in the Journal of Financial Economics 2005. They said that the problem with Myers’s Pecking Order Theory is that Myers was looking at aggregate data and he was looking at a time period when there was relatively little issuance of equity. When Myers said only 6% of corporate financing comes from equity issuance, they were talking about net equity, that’s total new sales of shares by companies minus repurchases of shares by companies. And so, it averaged out to be a low number. But in fact, as Fama and French point out, in the same year that Myers studied, from 1973 to ‘82, 67% of U.S. companies issued new shares each year. And also in subsequent years, the percentage went up. From 1993 to 2002, it was 86%. So, they’re all issuing shares. It’s just that some are issuing and some are buying back. So, I think that we should conclude that companies really do use equity financing, even big companies. And the stock market is important for the price discovery. I wanted to remind you of the term dilution. Dilution refers to what happens when a company issues more shares. So, imagine that you are showing up at a shareholders meeting. The board has decided to issue– let’s say our company has a million shares outstanding. They’ve decided to issue another million at $10 a share. And so, what do you think about that? Well, if the company had a million shares, and I owned 1,000 shares, then I own 1/1,000 of the company, right? If they issue another million shares, then there’ll be two million shares, and I’ll own only 1/2,000 of the company. So, my first thought is I don’t like that. I owned 1/1,000 of the company, and now I’m falling in half. But they would say, on the other hand, look, we’re selling them for $10 a share, so the company will have $10 million to invest. So, even though your fraction of the company has been diluted, the company is worth more. Then, you have to decide whether $10 a share is a good enough price. Is it worth that? And so, it’s never obvious. You always have to consider dilution, because anything that expands the number of shares decreases your interest in the company. The opposite of dilution occurs when the company buys back its shares. That’s repurchase of shares by a company. A company can always do that. They can decide to go either way. If they need more money, they can issue shares, and if they want to get money out, they can buy back shares. And these things are very common. There are statistics, like what Fama and French showed for equity issuance, which show that repurchases are very common. And it happens all the time in the market. That’s what makes the stock market so active. One reason traditionally for share repurchases is tax reasons. If a company pays a dividend, that goes in as income to the shareholders and it’s taxed. It used to be taxed at a higher rate than capital gains, so there was an advantage to share repurchases. Instead of paying dividends, I should just buy back shares. And then the shareholders would have a better tax–they would be taxed at a more advantageous rate. But now the tax rate on dividends and the tax rate on capital gains is the same, but still there’s always going to be complicated tax issues. And so, issues of taxation may still motivate some decisions about share repurchase. But you have to understand that it’s getting money out of the company. And as a shareholder, if the company wants to send me a dividend, I say fine, I’ve got money. If the company says I want to buy some of your shares back, you say fine, I’ve got money. I don’t care. And so, if they buy back 5% of all their shares, then the total number of shares goes down. My fraction of the company is the same [correction: the fraction increases], and I’ve got money. It’s the same as getting a dividend. So, you can be confused by these things. Dilution and repurchase are neither good nor bad. It depends on circumstances. And you have to look at the business and what’s being done with the money. I wanted to mention, there’s another kind of share called preferred. I’ve been talking here about common stock. Common stock is the real ownership in the company. In other words, you take all the profits. They’re the ultimate owners of the company. Nobody is above them in the hierarchy. But there’s something close that’s considered close but different. It’s called preferred stock. And preferred stock has a set dividend. The contract says that the dividend is so many dollars per year, and the board doesn’t have to pay it. But typically, the contract says, they cannot pay a dividend to the common shareholders until all the dividends to the preferred shareholders are paid up. And the preferred shareholders typically don’t have a vote. OK. So, this is it. You could buy preferred stock in some company and then you would know exactly what your dividend is. Usually, they just pay a dividend. It’s like owning a bond. And it’s always the same amount. So, you’re not betting on the company doing better or worse generally, but if it does badly, you might lose your dividend for a while. If a company goes bankrupt, well, then you’re out. But if the company starts doing well again, they’ve got to go back and make up for all the dividends they missed. So, preferred shares are safer than common shares, but they lack the upside potential. They’re not as exciting as common shares. So, when General Motors got into a crisis, the U.S. government bailed out General Motors. What they did was to buy preferred shares in General Motors. So, the U.S. government was a preferred stockholder in General Motors. Why did the U.S. government do that? Why did they buy preferred shares rather than common? Well, they now do have common shares as well. I think the government wanted to not be a stockholder, not to be a voter in GM. They wanted to keep their distance, because this is America. This is a capitalist country. If the U.S. bought common shares in General Motors, it’s like nationalizing the company, right? The government would be on the board. They would have the votes. They just didn’t want to go that far, so they bought preferred shares in General Motors. Later, General Motors got on its feet again and bought back the government’s preferred shares. So, the government is no longer a preferred shareholder in General Motors. Common is much more important than preferred. OK. Now, I’m going to talk a little bit about dividends. What determines whether a firm pays dividends? There’s a famous article by John Lintner. John Lintner was a professor at the Harvard Business School and also one of the inventors of the Capital Asset Pricing Model. He wrote an article in–when was it? It was a long time ago–about why firms pay dividends. Remember, it’s a judgment call by the board of directors. So, he interviewed people who were involved in those judgments and asked them, why do you pay dividends? Why did you decide to pay a dividend of a certain amount? And he wrote a long article about this. And he found out that it was impossible to summarize everything they said. They said so many different things. Corporations are very complex, and there’s a lot of different people, who have different feelings. And we’re trying to keep people happy. And you want the company to do well and be perceived well. One thing he learned is that companies think that that’s our job is to pay dividends. You don’t have to earn an income now. You’re young, right? Eventually people are going to get fed up with you if you don’t earn an income. So, it’s the same thing. As a company matures, it’s part of life’s passage. You start paying dividends and you take pride that you’re paying dividends and people are getting money out of you. You hear a lot of generalities like that, but what really decides? And one thing he learned from them is, they told him, you know one thing we don’t ever want to do is cut our dividends. Once we start paying a dividend, if we stopped, it’ll get a lot of attention. Well, it’s like for you. You’re young people. You don’t have a job. Nobody is complaining. You could go for a while like this and say, you’re still young. But once you start in a job and then you quit, it looks bad, right? If you’re 40 years old and you say, I’m just dropping out, it looks worse than if you do it at your age. It’s the same for companies. Once they start paying a dividend, they’ve got to keep paying it. Otherwise people get angry. So, that was one theme. But what Lintner said, even that doesn’t tell the whole story. So, he tried to build a mathematical model of dividends. And the model that he came up, which he then fit to the data, and found that it worked very well, was that these boards of directors have a target payout ratio of earnings basically. This is the bottom line. They think they should pay out a certain fraction of their earnings, because the shareholders will get mad if we’re making a lot of money and we’re not sharing it with you. So, maybe we’ll pay out half of our earnings, and the other half we’ll keep as retained earnings, so that we don’t have to go out and issue new equity or borrow money. It all sounds reasonable. And then, because they don’t like to cut a dividend, they don’t want to adjust upward quickly if earnings shoot up. Because, if they go up and raise their dividend, then they might have to cut it if earnings go back down. where DIVt denotes the dividends at time t–year t, let’s say, DIVt-1 the dividends in year t-1, EPSt-1 earnings per share in year t-1, and εt denotes noise in year t. And τ is between 0 and 1. So, they have some fraction of earnings that they want to pay out. And if earnings per share rise, so that τ times earnings per share is greater than dividends, then they increase their dividends. And ρ is between 0 and 1. That’s the Lintner model. And he showed with the data that it pretty much summarizes what firms are doing. So, they have a payout ratio out of earnings. And the payout ratio has been declining over the last century. It used to be typically 60 to 70%. In 1900, shareholders were impatient with companies. They wanted to see the money, but they let them keep 30 or 40%. But now we’ve become more and more believers in the stock market and we allow companies to do better things. So, I said I would talk about some examples of specific companies. Let me get back to my slides here. I wanted to start with Xerox. Xerox Corporation, you’ve heard of it? You’ve heard of Xerox? It’s still there. It exists. Xerox Corporation was founded in 1906. It wasn’t called Xerox. It was called the Haloid Photographic Company, and they produced photographic equipment. But they had a big impetus forward when they met Chester Carlson, who was an inventor. And what Chester Carlson invented was a copying machine that used plain paper. They used to have copying machines going all the way back to 1906, but they were very expensive. To get a copy of something, a photographic copy, it cost you maybe $1 a page, extremely expensive for that time. But what Carlson invented was a dry copier. It used to be that what they had to do was take a photograph of the document that you wanted a copy of and then process it through the different chemicals that they use. It comes out wet, and you have to hang it out. That was expensive and inconvenient. They did have copying machines; they just didn’t work very well. But he invented this process that you could take any paper and put it through, plain paper, and it would come out hot and dry, and cheap. So, Xerox became an overnight success, because they had a patent on Carlson’s thing. It became the glamour company of the 1960’s and 1970’s. So, it was one of the Nifty Fifty. People were very impressed with Xerox in its day. So, Xerox means dry in Greek. It’s a dry copier. And it was considered a high tech company, moving forward rapidly, but then it suffered a problem. Do you know what the problem was? It was doing really well, until sometime in the 1990’s when another invention came. And it wasn’t Xerox’s. It’s called digital copying machines, where the machine would have a computer that would scan-in the document and then produce a copy. And it had a lot of advantages over the Xerox copier. So, the company almost went under. What I’ve got here is the balance sheet from Xerox Company. And this comes from a website, sec.gov. And I got this from the 10-Q report. Xerox is a public company, not a private company. It’s traded on stock exchanges. So, U.S. law says, any public company must file a quarterly report with the Securities and Exchange Commission, and they put it up on their website. This is the website. So, any public company’s balance sheet is on the web. And it’s there, updated every three months. And I’ve got a couple of them here. I’ve got 1999 and 2010. My little company, Case Shiller Weiss Incorporated, it was not public, so our balance sheet was never up there on the sec.gov. That’s one of the disadvantages, many people say, of becoming public. If you start out as a private company, then and you want to get listed on the stock exchange, that’s called going public. When you go public, the SEC is on your back and you say, you now have to file those quarterly balance sheets. So, this is what I’ve got. So, this is Xerox, and it’s all up there on sec.gov. I’ve got it for 1999. This was right at the time when they were really in trouble, because the digital revolution was killing Xerox. And I just wanted to show a balance sheet of a company, because there’s two sides to the balance sheet. There’s assets and liabilities. Assets are things the company owns. Liabilities are debts the company had. So, this is one side of the balance sheet, but I’ve got it for two years. And everything is in millions. Xerox had $126 million in cash in 1999 and they picked up. The company was dying in 1999. In 2001, they hired a new CEO, Anne Mulcahy, and she is credited with saving Xerox, turning the company around. So, by 2010, at least in terms of cash, they are doing better, but maybe not a lot better. She saved it from extinction, but she didn’t move it back on to the Nifty Fifty. So, I just wanted to look at what a company owns, and this is just an example of a balance sheet. So, Xerox owned $15 billion of receivables in 1999. It was a much lower number in 2010. I don’t know. It might reflect time of the year or something. Receivables is money that’s owed to them. They ship their copying machine to someone. The guy says, I’ll pay you in three months. That’s a receivable. And they had inventories. That means, probably, copying machines ready to be sent out. And they own buildings. The buildings, it looks like it went down under Mulcahy. It went down from 2.4 billion to 1.6 billion. And then, there’s a lot of other things. So, the value of everything that the company owns wasn’t much changed. 28.8 billion went up to 30 billion. So, at least she stopped the company from failing. But now that’s only half of the balance sheet. I have to go to the other half. And these are the liabilities. This is what the company owes. So, it has short-term debt. Let’s talk about 2010. 1.6 billion. Long-term debt of 7.8 billion. Deferred taxes. That means taxes that they know they have to pay that they haven’t paid. They didn’t have any in 2010. And preferred stock. They did have a small amount of preferred stock outstanding, which counts as a liability. All right. And then, other liabilities. I put them all into one category. Now, this last liability is unique, because it’s the residual. It’s called shareholders’ equity. This number, the total liabilities, has to equal the total assets. This is the same number that I showed you on the preceding page. What’s the difference? It’s the shareholders equity. OK? So, it’s 11.9 billion in 2010, up from 4.9 billion. So, by this measure, it’s a success. Now why is shareholders’ equity–is this the value of the company? No, it’s the value of the company on the books. So, according to their books–I’ll go back to it–they have all these assets, including buildings and equipment. Where did they come up with this number? How do they know what their buildings and equipment are worth? It’s an estimate, because who knows what they could sell them for. So, in principle, this shareholders’ equity is what the shares are worth, all of the shares, $11.9 billion. Because if you bought the company and you sold all the assets and paid off all the debts, that’s what would be left. So, you divide that by the number of shares and you can get an estimate of the value of a share. But I say an estimate. It’s not the same as the market value. In 2010, there were 1.4 billion shares outstanding in Xerox. The price per share of a Xerox common share in 2010 was $11.80. So, if I multiply the number of shares by the price per share, the market cap for Xerox is $16.4 billion. Compare that with the shareholders’ equity of 11.9 billion. So, the company is worth more than its shareholders equity. And you might ask, why would that be? OK? Well, I think the answer is, you wouldn’t buy this company to shut it down, right? You could buy the company for 16 billion and then shut it down, sell off all the assets, pay off all the debts, and you’d have 11 billion. So, that’s a sign of Anne Mulcahy’s success. Her company is not going to be shut down. If the stock price falls below the shareholders’ equity, it becomes at-risk for being shut down. Somebody buys the company and shuts it down, because I can make money. If the company were selling for 5 billion, I might do that. Well, not me. Somebody who arranges these things could do that. So, I buy the company for 5 billion. I tell everybody, you’re all fired. We’re going out of business. I sell it. I get $11.9 billion. I’ve doubled my money. All right? Now, a company can sell for less than the shareholders’ equity, because the shareholders’ equity is kind of a funny number. It’s also called stockholders’ equity by some people, same thing. It’s a funny number, because it involves all kinds of estimates. And you really try to sell that real estate for what it says here, you might find problem. So, the market capitalization can follow below shareholders’ equity, but probably not too far below. And this is what worries boards and CEOs. They watch their stock price every day and they’ve got in their mind that, shareholders’ equity. And if the stock is falling below that, then they’re in danger of liquidation. So, they worry. And that’s why every morning, if you are a CEO, if you’re a CEO of a public company, you will be watching your market cap every day and comparing that with shareholders equity. So, Xerox is an example of a company that’s doing all right now. I’ll show you its price. I don’t have it all the way back to 1906, but this is Xerox price per share, and it’s corrected for splits and other special factors, from 1977 to 2001. And you can see the incredible crash they took after digital copying came in. In the 1990’s, they were soaring. They looked great. They must have been doing something right, but they had their heyday and it’s over. So, Anne Mulcahy came in when the company was utterly collapsing, and I guess she’s a success. But it’s not its former self, it’s limping along. I wanted to tell you now about Microsoft. So, that was founded in 1975 by two people your age, I guess. As of 2000, it had assets totaling 52 billion, and in the last ten years, it’s almost doubled it, so its assets are 92 billion. What does it own? Well, it has cash of about 4 or 5 billion. Short-term investments, a lot of short-term investments, $37 billion of short-term investments. This is a company that’s doing well. It’s not on the end of its life. And it has property. They have this nice campus in Redmond, Washington. They call it a ”campus.” It’s fun. Fun place. Anyway, it’s not that expensive. All their real estate now is only about $8 billion, and that’s all of their computers and equipment. And then, they own stock. This is really different from–Xerox doesn’t own any stock, they’re trying to limp by, they’re trying to get back in stride. Maybe they have gotten back in stride. But they’ve got $10 billion in the stock market, other companies they own. They own all sorts of stuff. This is a company that didn’t pay a dividend until recently. And Bill Gates and Paul Allen were still there running it. Maybe there’s a little bit of truth in this Pecking Order Model. They just wanted to save their own money and they thought their shareholders would understand. Microsoft is doing so well. Are you really expecting us to pay your dividend out? We have all of these opportunities, so we’ll keep the money. And people had enough faith in these guys to let them do it. So, by this account, the total assets of the company were 92 billion, but we have to look at liabilities. Remember, the shareholders’ equity subtracts off liabilities. So, here are their liabilities. They have some income taxes that have to be paid, but it’s only $1 billion. That’s like small change, right? It’s because of some timing effects. Accounts payable, this is some money that they owe. They do owe money, because every company delays paying their bills for a little while anyway. So, they had something. Unearned revenue. Typical case is, they’ve sold a Windows system. They’ve got the money, but they really haven’t completely earned it yet, because you’re going to be calling up with complaints and they’re going to have to do things in the future for the revenue that they’ve already earned. So, they count that as a liability. They didn’t have any debt in 2000. This is strange, right? You think they were making so much money, why should they borrow? For some reason, it’s now up to about $10 billion. I can’t explain that. And so, you add all these up and subtract them from 92 billion and their shareholders’ equity is 48 billion. So, they’re doing pretty well. They’re much bigger. But is that the way to measure Microsoft? This is a measure of the value. It’s really the liquidation value of Microsoft. So, you could imagine buying Microsoft and then selling all those assets, shutting it down, firing everybody. Would that be a smart thing to do? You fire everybody. You sell the Redmond campus. You sell all of their computers. And what do you end up with? $48 billion. Well, let’s compare that with the market cap of Microsoft. They have 8,497 million shares outstanding, and the price per share at the end of 2010 was $26. So, the market cap is $221 billion. So, that’s over five times their shareholders equity. That means that they have some other value. I think I’m running out of time. It’s interesting what happens in the world. I’ll stop with this. This is the price per share of Microsoft. I should disclose. I’m now a shareholder. I wish I were a shareholder back then. Nobody believed it. This only goes back to ‘86, but the company maybe was private. I forget when it went public. So, we don’t have prices [addition: before ‘86], but we have prices in ‘86. It really had a run until 2000, and then something broke with Microsoft as well. It looks a little bit like Xerox, doesn’t it? I think it was the end of the high tech bubble. This was a bubble in tech prices, and Microsoft rode the bubble. But it’s still doing very well. It’s just not going up lately. Anyway, this is an example. We’re going to talk about real estate, the other asset class that I’ve mentioned, is even bigger than the stock market, in our next lecture on Wednesday.